Whether you want to become the next Ansel Adams, or just learn how to take better pictures to post on Facebook, these blogs will help you get there. ZenKimchi recently posted about a new Korea Tourism Organization initiative called www.koreataste.org - as I've done before with other tourism / expat websites, it's time for a review. The Korean government has a pretty spotty reputation when it comes to websites - a bit ironic considering the technological savvy of both the country and its people. Some websites come out looking great - korea.net is one example - while others initially fell flat on their face. That the latter has improved from when I first reviewed it is hopeful. Looking for someone in Busan who can help us with our website nicedeli.com, I'm trying to get the Magento Ecommerce Platform up and running but am missing some small bit of info/know how to get the installation to run. Probably something very simple for those in the know. In addition to that I just need a little tutoring on the finer points of the CMS and whatnot, basically someone to come by my place and point out my where I'm going wrong. Can't offer significant compensation, but definitely dinner, drinks and discounts off any of the vast array of foods we offer on our site, I'm sure something can be negotiated. 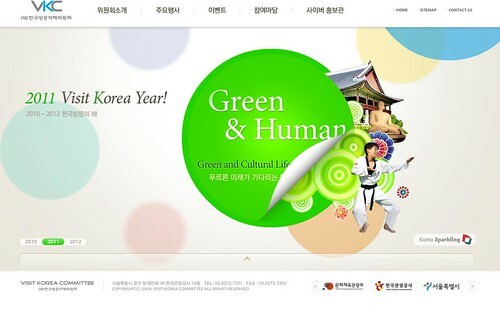 A screenshot of the home page to visitkoreayear.com, current as of the posting date.